Thanks to the lightweight Japanese fabrics used, the running jacket offers 360° ventilation in an ultralight package - the perfect companion for a wild run in the wind and rain. 100% Nylon protective and tear-proof upper fabric reaches across the chest and shoulders. Coated with advanced DWR (durable water repellent), the running jacket protects you where needed. 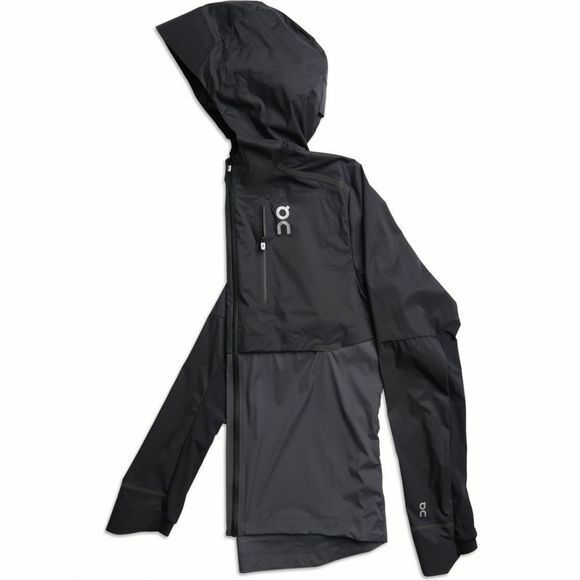 The pockets of the running jacket offer water-resistant zip protection. The entire running jacket can be folded into its own breast pocket, allowing for ultra-small storage and portability. The running jacket's specially made and uniquely engineered hood can be neatly adjusted for perfect fit and field of vision at the same time, allowing you to enjoy your run - especially in the wet.